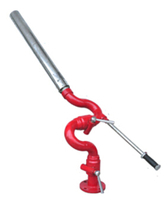 PPC series fire monitor is the new type fire fighting equipment for large and medium oil fire. It is divided into Marine and land use, Marine fire foam monitor is mainly used in the oil drilling, passenger-cargo ship, oil tanker, wharf, while land use fire foam monitor is mainly suitable for petrochemical enterprises, oil reservoir, oil field, etc. This series of fire foam monitor with 3% and 6% of the generally low multiple protein foam extinguishing agent. 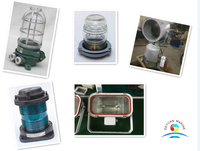 TG or TZ series marine search light are design for far distance illumination and searching when night navigation especially for sea-route and two banks and surface search when cross the complex water area,such as narrow channel and the inland river etc. With stainless steel shell material and big power, long illuminate range, 350 degree in horizontal and 30 degree in vertical rotation makes it very important when searching. Navigation light is an independent part of ship lighting system, and it is an important light signal to ensure safe navigation at night. In any case, it must be kept bright to indicate the position, status, type, presence or absence of tugs of the vessel, so as to prevent misunderstanding around or passing vessels, causing marine accidents. 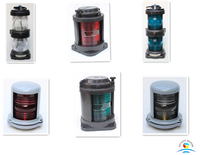 Navigation lights consist of foremast lights, main mast lights, tail lights, starboard lights and anchor lights, which are used to indicate the status and position of ships during the night voyage.